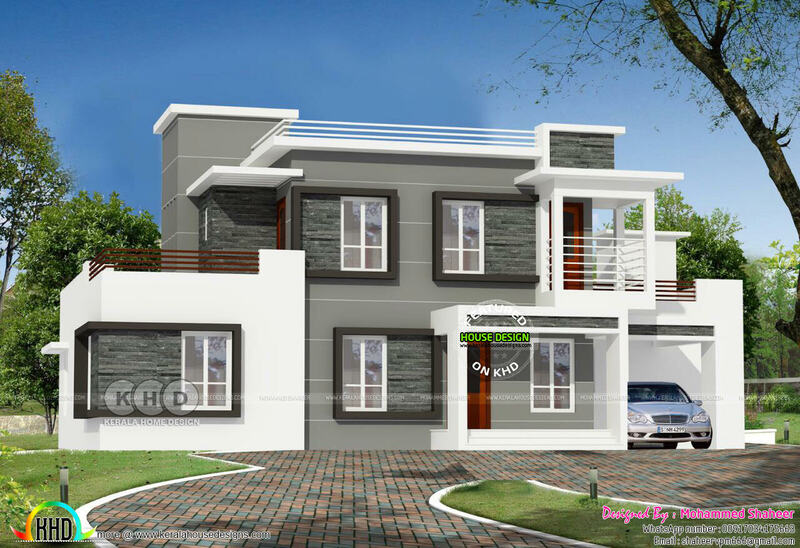 4 bedroom contemporary style grey color home plan in an area of 2350 Square feet (218 Square Meter) (261 Square Yards) with 4 bedrooms. Designed by Mohammed Shaheer, Malappuram, Kerala. Total Area : 2350 Sq. Ft.
0 comments on "2350 square feet, contemporary style 4 bedroom home"